It is very easy that after a few years and a huge amount of rain your deck gets rotten. No worries, every issue has a solution. 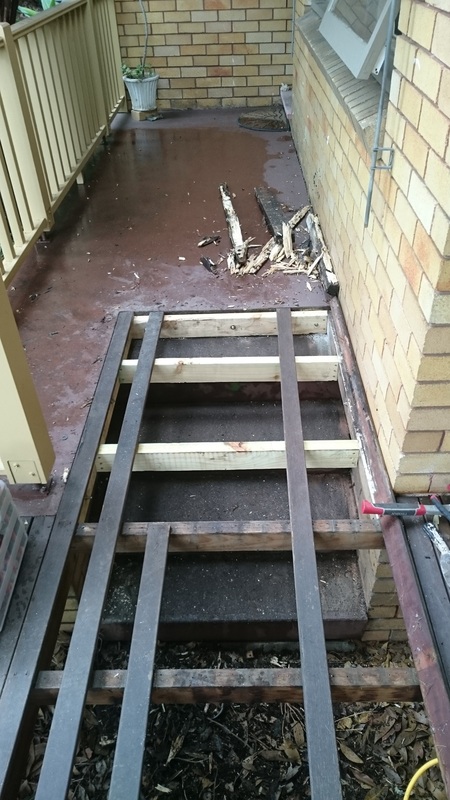 In this case the main problem was the deck frame that after years has become rotten because its exposure at the rain. We changed the rotten frame cleaning underneath the timbers from the dirty. As last step, we relayed the existing deck upon the new frame.